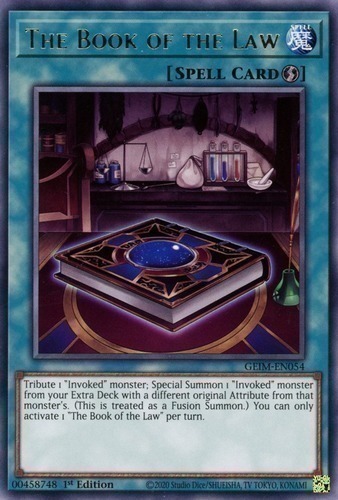 Text Tribute 1 "Invoked" monster; Special Summon 1 "Invoked" monster from your Extra Deck with a different original Attribute from that monster's. (This Special Summon is treated as a Fusion Summon.) You can only activate 1 "The Book of the Law" per turn.